During the early 1690s, England experienced a 'Financial Revolution.' It was described by financial historian Edward Chancellor as "a wave of exciting new technology companies coming to market, of rising share prices and record stock turnover, of new fangled financial derivatives, of credit wildly extended, of stock market rumours and sharp practices, and of naïve investors rushing to buy shares." Sound Familiar? Shortly after in 1695, the English stock market peaked and subsequently crashed. Simultaneously it was recorded that "women's fashionable headdresses which reached a height of 7 feet" during the mania became shorter and more somber. While this may seem a ridiculous coincidence, extravagance in culture and fashion historically coincides with the peak of a mania. Most of the time I tell you what I think you should be doing when it comes to your investments. But today, I want to tell you about three things that you shouldn't do. I've had a lot of investing victories over the years, but I'm far from perfect. So I want to revisit three lessons that I learned the hard way. It's not that I like eating humble pie … I just want to give you an opportunity to learn from my past mistakes. Frequently I read comments from other analysts regarding the difficulties of trading, i.e. buying, the Canadian mining stocks. They usually suggest investors seek out a broker that specializes in these stocks and while that is not bad advice, it is not necessary to do so. Allow me to first provide some insight on the mining sector and in particular the investment conferences being held frequently in both Canada and the United States . I continue to receive e-mails asking about the 4-year cycle and the ongoing Dow theory non-confirmation. In order to address this topic I have decided that it would be best to simply use a piece that I wrote before. Theories of periodicity (cycles) in the stock market are as intriguing as they are controversial. The subject of equity market cycles has been discussed at length over the past 60 years with precious little in the way of agreement among cyclists as to what exactly constitutes a cycle, let alone which cycles are key. Unfortunately, one of the major attempts at advancing the understanding of cycle theory, namely the Foundation for the Study of Cycles, was marked by internecine strife and fell by the wayside in the mid-1990s despite the pioneering work of its founder, Edward Dewey. In recent years, much credit must be given to Samuel “Bud” Kress for discovering the remarkable rhythms that define the series of yearly cycles that compose the K-wave long-term series. The K-wave has been traditionally defined as a 60-year rhythm as formulated by the Russian economist Nikolai Kondratiev. Intel recently reported its fourth-quarter results. The headlines celebrated the fact that the semiconductor company delivered $0.26 a share in profits, beating the Wall Street consensus estimate by a penny. Everyone seems impressed … except me. In fact, all I see is a company whose business is sinking fast, and a stock that's going to get hammered. Recently I have received e-mails asking about cycles and Dow theory. I have addressed this before, but it seems that it's now time to look at this topic again. I have virtually every scrap of material written by Charles H. Dow, William Peter Hamilton and Robert Rhea and I want to confirm that cycles are definitely not a part of the Dow theory. I'll also add that head and shoulder formations, rising wedges, symmetric triangles and other technical patterns are not a part of the Dow theory. The McClellan oscillator, stochastics, RSI nor any other oscillator for that matter is a part of the Dow theory. Gold, the dollar, bonds or individual stock analysis is not a part of the Dow theory. History's Hidden Engine explores society's moods and how shifts in overall mood affect areas as disparate as fashion, movies, politics, the economy and the tendency to make war. Moore says he was inspired to create the movie by "Popular Culture and the Stock Market," a report by financial analyst Robert Prechter. Moore quickly realized that "the ideas behind this field are too new and complex to explore in every aspect in a single documentary." Nonetheless, he liked the challenge of creating a film that includes the views of an increasing number of experts who are looking into the emerging theory called socionomics. ADVFN should be the lynch pin of every online trader's portfolio. UK traders are very well catered for, with real-time LSE quotes and charts, all for free. However, US traders can take advantage of the real time indices. Nasdaq and NYSE are also there. After a simple registration on their site, the free services which ADVFN offer include real time quotes for stocks, real time monitors (which include bid/offer prices and the last price and volume of a share traded), share portfolios, alerts, charts, in depth company information , news and bulletin boards. A portfolio of high dividend yielding stocks has consistently shown itself to outperform the broader market in the long-run and without the same degree of volatility associated with growth stocks. The strategy involves finding consistently high yielding stocks which provide an income of 5% or more on top of capital appreciation, this dividend is also likely to rise so as to maintain the yield on any gain in the share price, so as to maintain the Yield %. The dividend yield is simply the total annual dividend divided by the current share price, which equals the dividend yield. 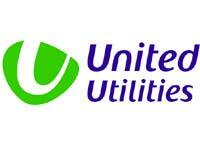 Taking a popular high yielding stock, United Utilities as an example - United Utilities is a British company that is listed both on the London Stock Exchange (LSE) and the New York Stock Exchange (NYSE). Its principal activities are managing and operating the regulated electricity distribution, water and wastewater networks in north west of England.